The view through the wall just before the frame came down. Yes! Starting Saturday, March 7th, 1-5pm, I’ll be opening my studio every Saturday afternoon. I recently enlarged my studio space, so I now have more room for display. 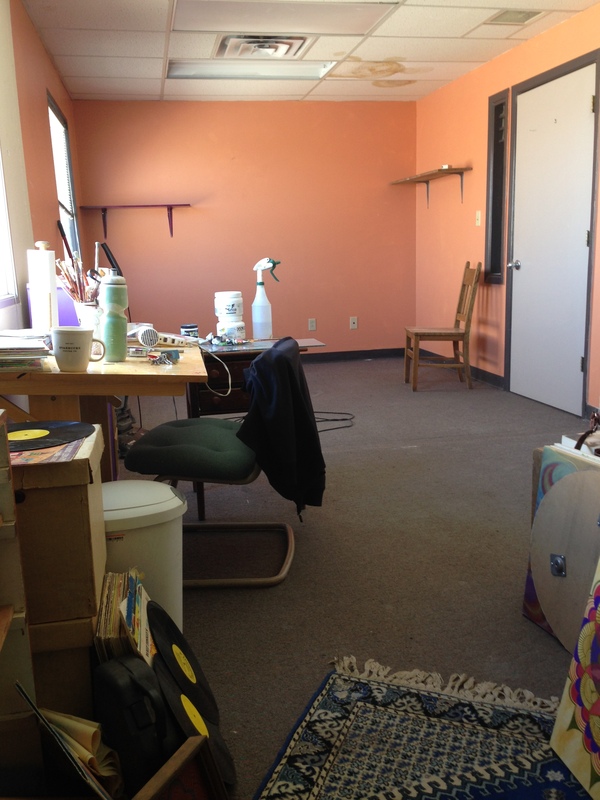 My studio is one of 10 studios at Chroma Studios here on Route 66 in Albuquerque, NM. This view is looking into the new, larger studio from the far corner of the old, smaller studio. 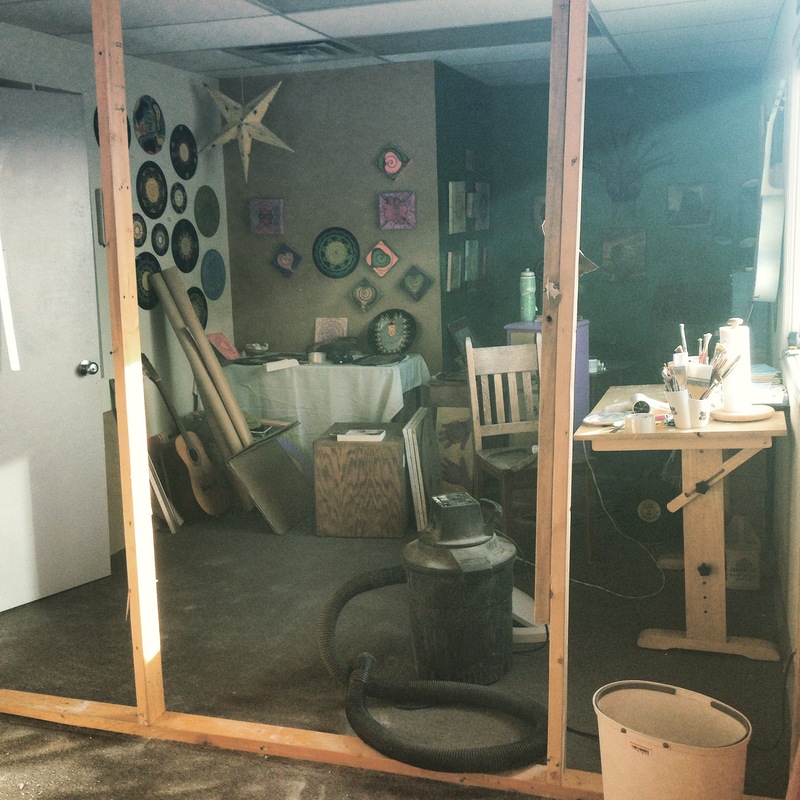 I’m working on getting other artists to join me in opening our studios every Saturday. So far, Robert Medina Cook, will also be joining in the fun by having his studio open too. Robert doesn’t just make gorgeous art, he also teaches Encaustic workshops here at the studios. Getting art hung! 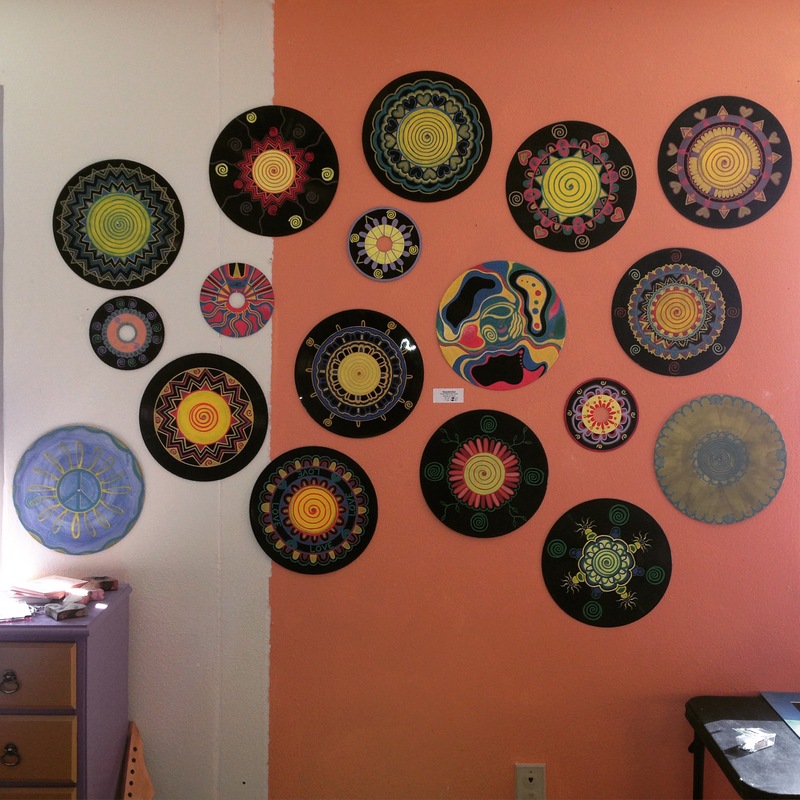 This is my painted record wall. It’s a great time to visit working artist studios, see some of our processes, look at some really fun and amazing art, and perhaps find that perfect piece to fill a space on your home or office walls! There are no high pressure sales tactics here, but we sure would love to share our art with you! 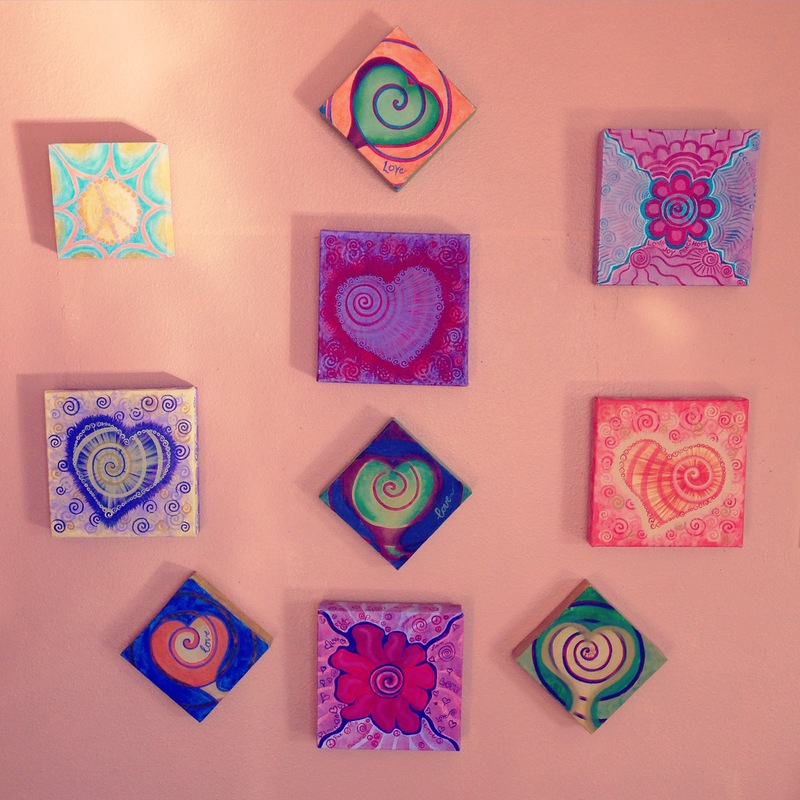 This is the small paintings wall, these paintings are 6 x 6″ and 8 x 8″.